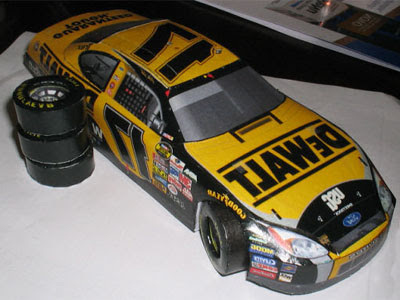 Nascar race car 2005 - 2006 series papercraft for model car collector. Make one yourself using free template by nascar paper model. I could not get the author name of these awesome nascar car paper models. It's a pity because I could not give the credit that they deserved. From the site, it's mentioned that the model cars are using 1:18 scale just like model cars from kit that you can find at store. The only different that it is made by using papers. So you can make as many model as you want with a very little cost. Great right? 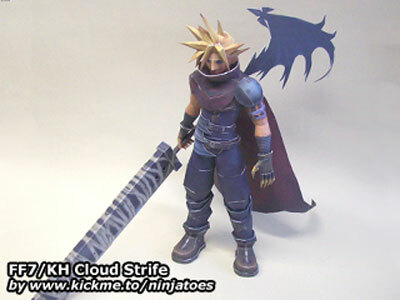 An awesome Cloud Strife of Final Fantasy series paper model for FF VII and Kingdom Hearts die hard fan. Free template and instruction by Ninjatoes. If you remember, Cloud strife was first introduced in Final Fantasy VII. He's the protagonist with blond, spiky hair bearing a gigantic Buster Sword. Then, Cloud has also appeared in several other titles outside the Final Fantasy VII continuity. Such titles include Itadaki Street Special, Final Fantasy Tactics, Dissidia: Final Fantasy, Ehrgeiz, and the Kingdom Hearts series. Well, this paper model is based on Cloud in Kingdom Hearts games (support character). Better known as Dark Cloud with demon-like appearance. I personally like the black wing and cape. Looks cool. How is you paper town collection? I did make several posts about papercraft town before which include fire station, hospital etc. For kids, these building papercrafts are so easy to make because they are like boxes with colorful decoration. 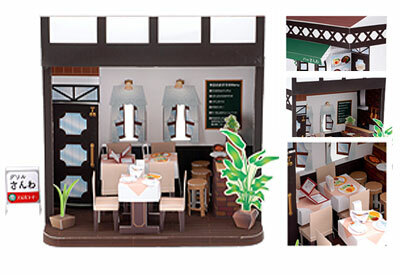 This restaurant paper model is a unique one because the focus is not on the building itself but all the accessories that come with it. A complete scenario in a restaurant with tables, chairs, decoration like plants, even plates and menu board. 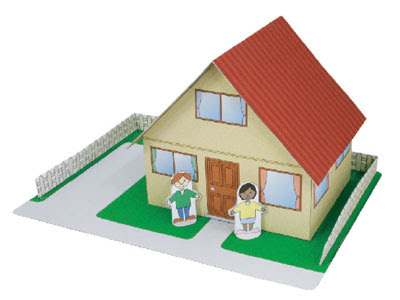 Kids can use it to play with their paper doll and that is reason i call it doll house. This papercraft is actually made specially for Fukui prefectural tourism site. There is a dinosaur museum in the city of Katsuyama, Fukui Prefecture, Japan. It is one of the "World's Three Great Dinosaur Museums" along with the Royal Tyrrell Museum of Palaeontology in Canada and the Zigong Dinosaur Museum in China. 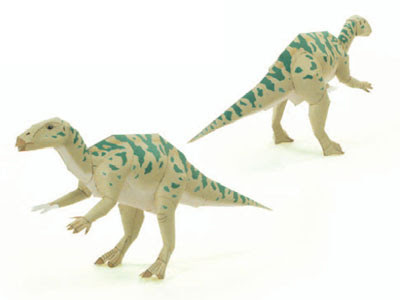 Well, from simple animal and now we are sharing this legendary animal, dinosaur specifically an iguanodon. It may not as famous as T-REX though. As for real fact of iguanodon; Iguanodon is use as name because it had teeth resembling those of modern iguana lizards. Several dozen specimens were discovered together in Belgium, suggesting that these dinosaurs traveled in herds. Foot prints of Iguanodon have been found from England to Spitzbergen to north of the Arctic Circle. Another cactus papercraft that you can make to decorate your house. It has free template courtesy of epson. 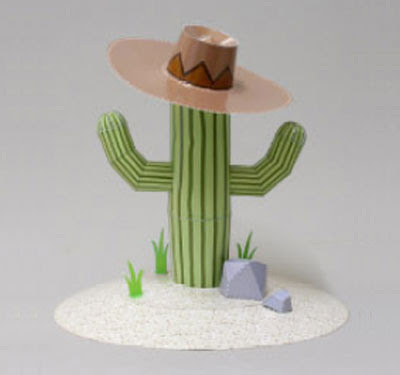 If you follow this blog, you will notice that I did make a post on cactus papercraft before. Actually, it can be found on the same craft page at epson site. I just repost it since it's cute. A cactus wearing a hat, LOL. I personally love this more than the previous one. 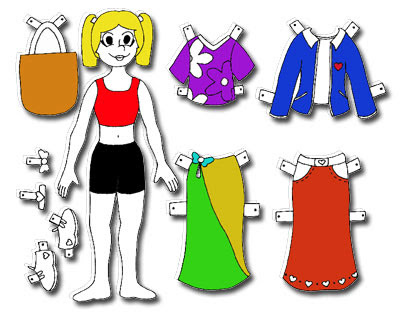 This is my first post for paper doll since you know, there are not many free paper doll template out there! But don't worry, we already found a couple of them. So we will present you with more in the future. 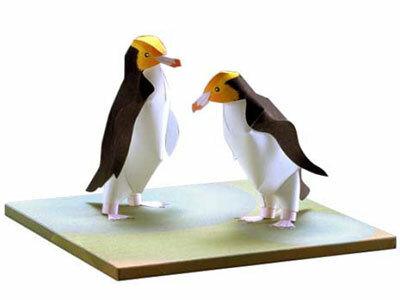 This type of paper art stuff is kinda popular among kids years ago when there are not many advance games like today. It's a low cost hobby and serve as a good material for collection today. Looking for a special gift to give someone. Why not try a handmade paper flower bouquet? It is rose papercraft with free printable template by Canon Creative Park. In every occasion, people always choose flower as a side gift. Some prefer a fresh flower or dried but why not flower made of papers. I found paper flowers whether it's rose, carnation or any flower are charming too. It's special because it does not wither over time. 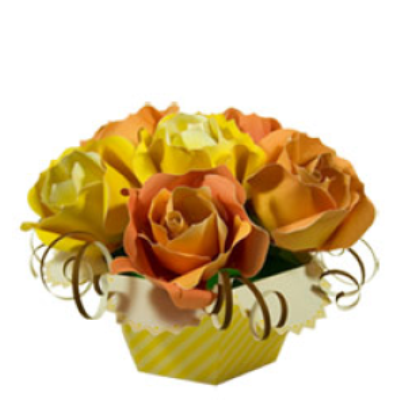 Take a look at this rose for example, so perfect as a gift. It is called yellow eyed penguin.Under its rare animal of the world, yamaha motor has prepared a collection of animal papercrafts for you to choose. Just go through the list, choose one you prefer, download the template and instruction to assemble it. So check these 2 cute things, what do you think? I found it weird at first that they are standing on green color stand. I thought it's suppose to be all whitey like in tundra but after i checked more info bout it they are actually penguin native to New Zealand. This penguin usually nests in forest or scrub, on slopes or gullies, or the shore itself, facing the sea. 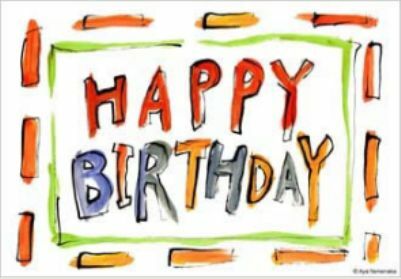 You know, people nowadays like to send an e-card instead of paper made card. Birthday and valentine for instance but what about to someone who does not even have email? I still think birthday card made with paper has its own charming. At least it can be kept in a physical state, can be touched and felt. Anyway, there are lot of such card at Canon Creative Park. There are cartoons, flowers and many more themes to choose. It will save your time on trying to design or thinking what to write by skipping it out completely. Just choose one that you like, print and send. I have never made any post post on papercraft by paper inside before but just so you know that Cláudio, the author has been in papercraft field since many years ago. And paperinside.com has been alive since 2006. 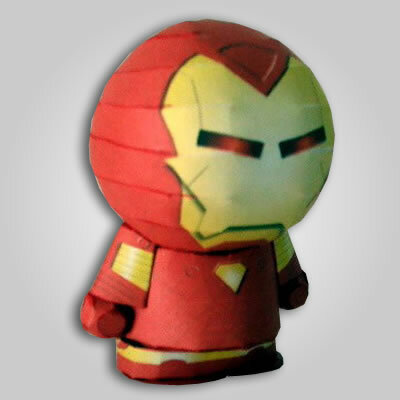 You can find many super heroes paper toy similar to this iron man such as batman, superman at his site. 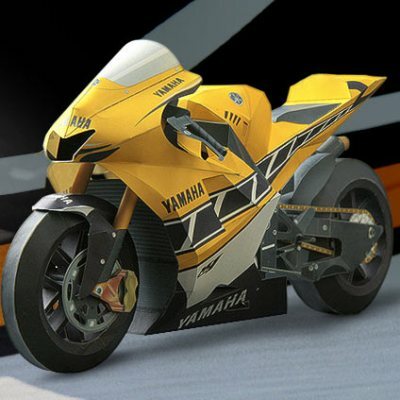 If you want something challenging, here is a cool YZR-M1 Bike Papercraft that you can make by Yamaha Motor. The real model is specifically developed by Yamaha Motor Company to race in MotoGP series from 2002 till present. It's is kinda complicated so be ready because it will consumes your patient and time for sure. Beside this YZR-M1 paper model, there are many more bike that you can find at the site.